On the first glance it looks very similar to NXP PMST3904, but topology is clearly redrawn. Notice sketchy borders of metalization - apparently they were using lift-off process for metalization instead of plasma etching. But for discrete transistors this might still be acceptable for good yield. 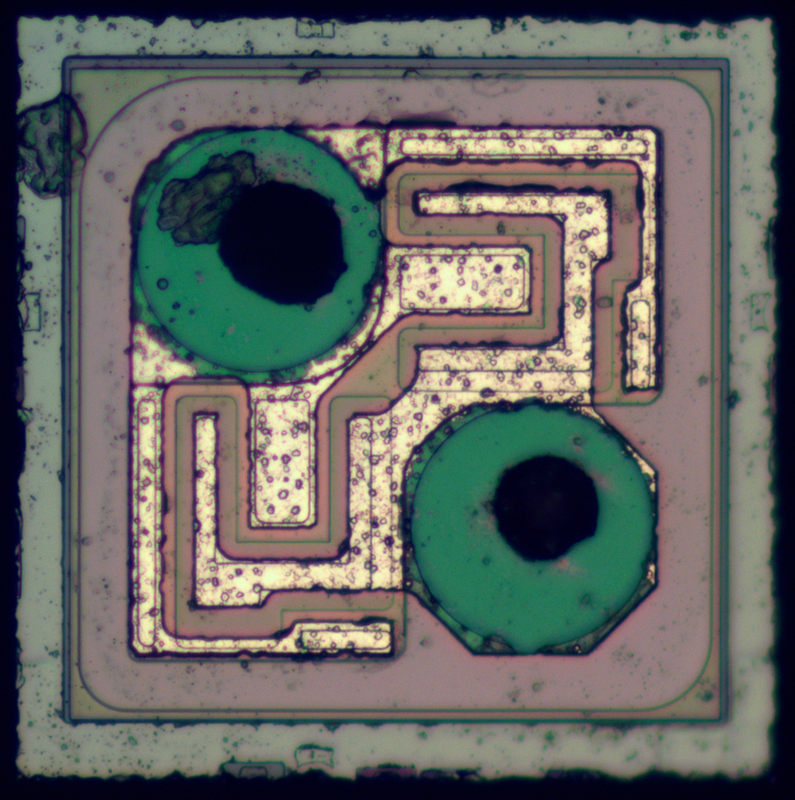 Die size 290x291 µm, which is slightly larger than NXP's one.